It always happens – I get my tools out, start working on a home project that I’ve been planning for weeks, all is going well until I strain, cut or bruise a hand, arm, or worse. Despite being careful, this can happen to anyone when they least expect it. 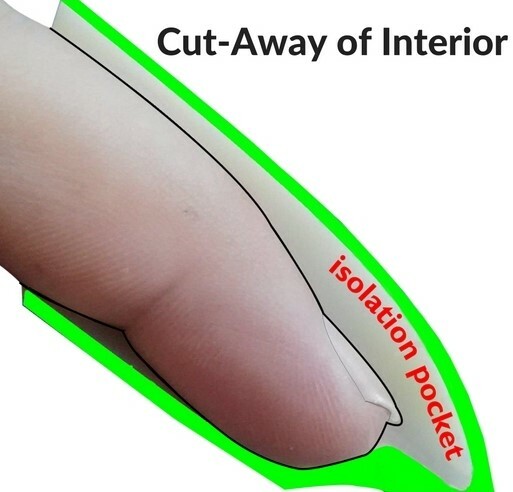 In this article I’ be talking about hand protection and some new available options. Gloves are not usually considered to be a tool, and why should they be? They just protect your hands right? 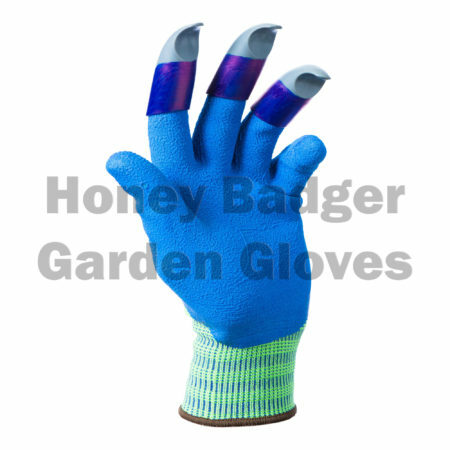 – Honey badger Garden Gloves (Currently being offered at a discount on Amazon.com ) is a company that has finally broken the boundaries of the glove category. By the end of this article your perception of the difference between tool and glove will be challenged. 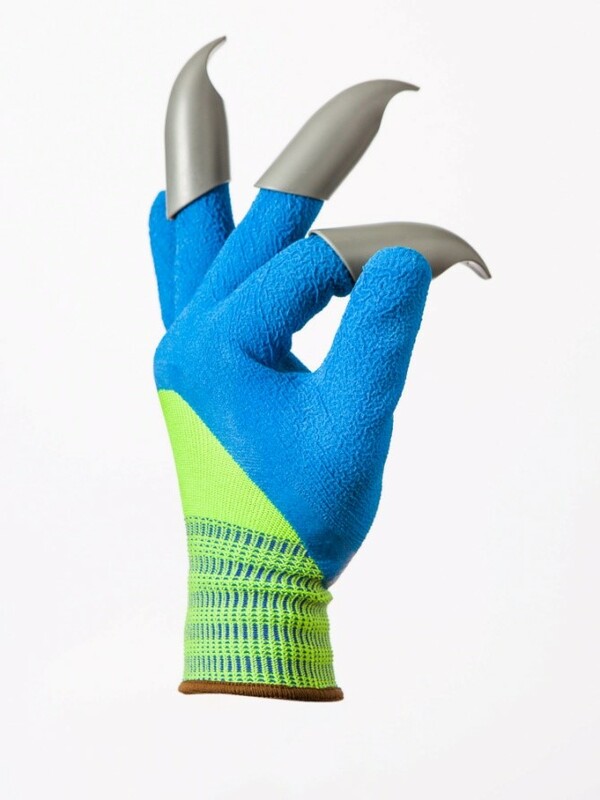 They have made a glove with tooling features. 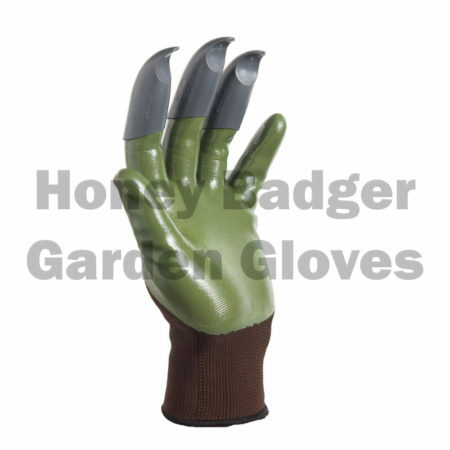 They are claws attached to the middle three fingers, enabling you to dig through the soil unlike any other glove. No ~ I won’t be abandoning my spade & trowel anytime soon, but it is a handy feature on a glove. Very useful for light gardening when I’ve left a tool behind in the garden as I’m working along. When planting seeds or flowers about 6 inches deep it’s actually quicker and easier with the gloves especially if the soil is already broken up. It’s not designed to replace any existing tools but a welcome addition to the tools I already have. 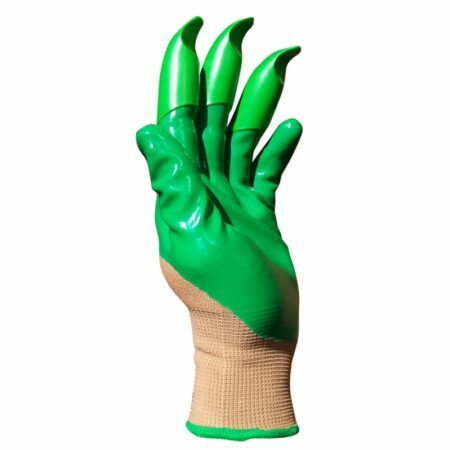 It adds convenience while providing superior safety & support for your hands & fingernails. 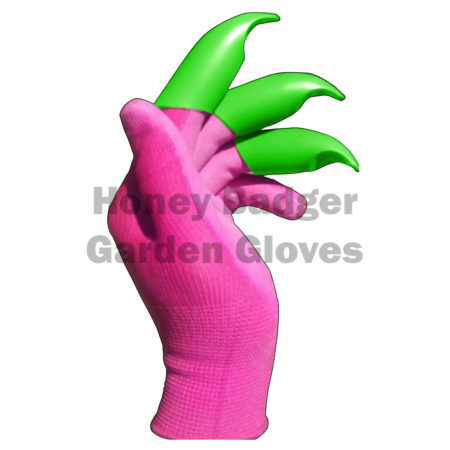 This is makes it the best gardening gloves for women in that respect – not to mention these also make fantastic gifts for gardeners. A product always turns out better when the creators are the users themselves. 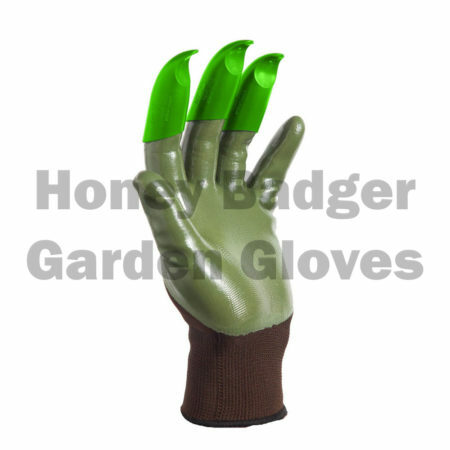 This glove is designed by Gardeners for Gardeners. That being said, they took into account some other important elements that only ‘Green’ minded people would. 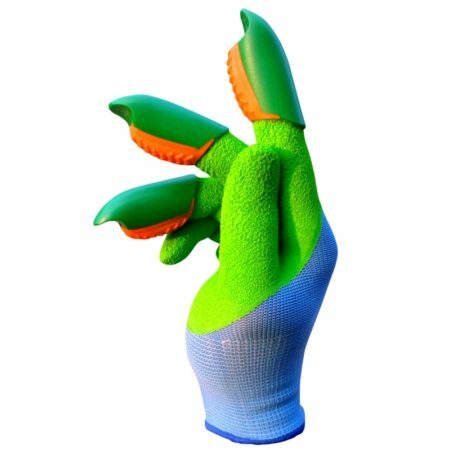 Such as, the recycled plastic that is used to make the claws or “Tooling Features”. A very tough ABS plastic that is durable enough to provide approximately 200 hours of gardening. Compared with the 30 to 50 hours of wear for the leading glove brand. You get more wear out of every pair. That alone reduces your carbon footprint. When interviewing Aaron Ohan the developer of the gloves, I asked him about the overall design and what was the inspiration to create them. 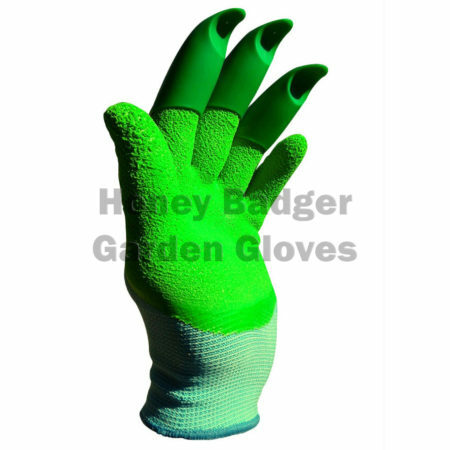 “Over the years I’ve used hundreds of gardening gloves,– usually similar in design. I realized that they haven’t changed much in terms of new features or technology. The same areas of the glove wear out quickly and I ‘d end up buying more gloves. 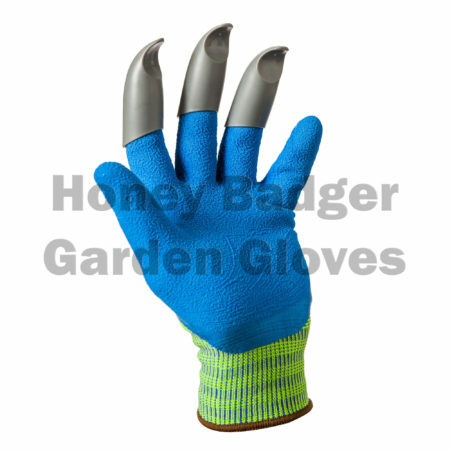 I thought what if there is a glove that has the features of a tool but is also designed for comfort and durability. I searched online ( in stores ) for a pair. When I couldn’t find anything, I decided to make my own. I started with sketches, and prototypes. I tried metal tips, wood tips, different claw shapes, different depths, different combinations of fingers…, 18 months later, after incorporating the feedback we received from various trade shows, we came up with the optimum balance between Glove & Tool”. “A Good design in this case was Finding the Ideal Balance of Glove and Tool”. When I tried these gloves for the first time it took a bit of getting used to. 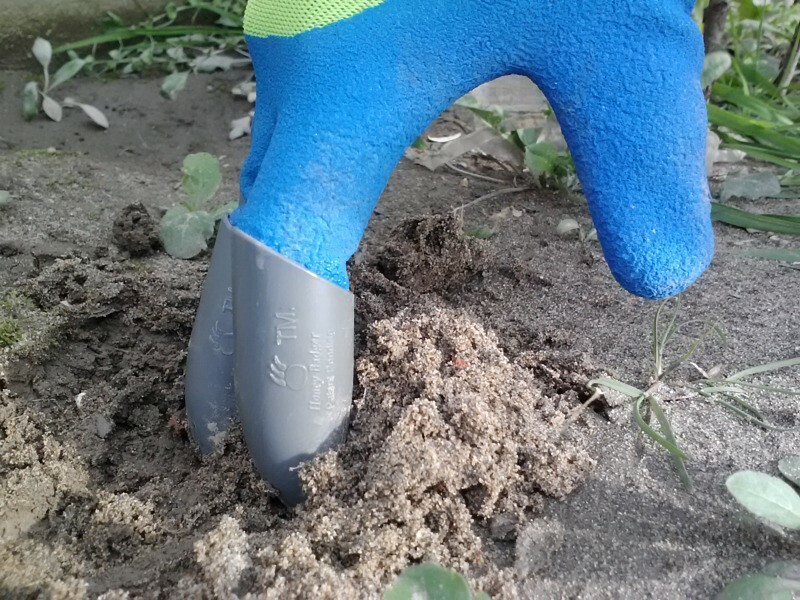 But after only a few minutes, I could easily hold other tools as I would with other gloves, I felt protected against thorns or cuts, but more specifically I tried digging with them and I found them to be very easy and comfortable to use. I could dig like a tool with my hands. Its Patent Pending Leverage design makes a little effort seem like much more. An analogy I would use to describe it… It’s like jogging vs. Cycling. The same input generates more output. ~ Now that’s definitely the right tool for the job!